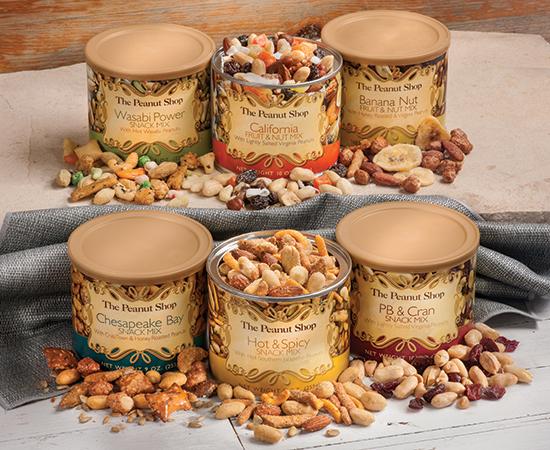 One each of our classic Snack Mixes and Fruit and Nut Mixes - Snack Mixes: Wasabi Power 8 oz., Chesapeake Bay 9 oz., Hot & Spicy 9 oz., and PB and Cran 10 oz. Fruit & Nut Mixes: California 10oz., and Banana Nut 10 oz. Something for everyone! 6 Tins!